Here’s what you, a regular user, can do about it. 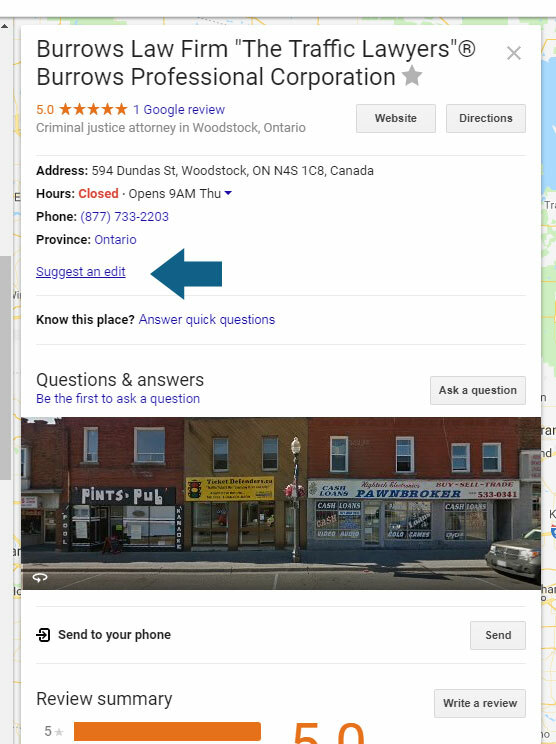 First, find the company’s Google My Business listing, either on Google Maps or Google Search. You’ll find a small “suggest an edit” link somewhere on the panel. 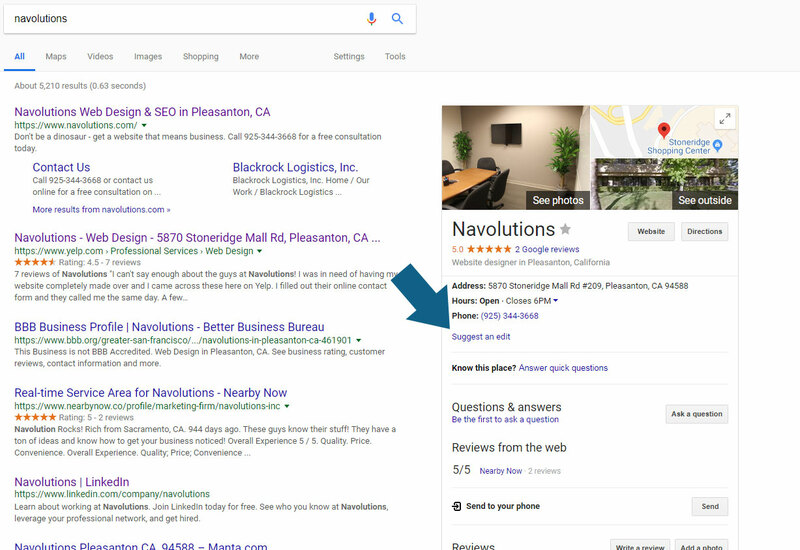 Google rearranges this interface sometimes, but right now it’s below the phone number. As long as you’re logged into a Google (or Gmail, or Youtube) account, you can suggest an edit. Just click on the field that needs to be fixed, and fix it. Google really does email you if they accept the change, and often it only takes a week or two to fix. Your chances increase if you’ve successfully submitted other reviews or edits on Google Maps before, because it shows Google that you’re a real user who should be trusted. Getting your friends to submit the same edit from their accounts will also help. If nothing has changed after a couple of weeks, head over to the Google Advertiser Community spam forum. You don’t have to be an advertiser to report a business on this board. Just open a new post and tell your story about the problem. We recommend mentioning how you found that business, how long ago you tried to edit their name, why you’re sure that the listed name is fake, and so on. If you have a case, someone should respond to you within the next week or two. Why Does it Take So Long to Edit a Company’s Name? It might sound ridiculous that it takes so long to edit a company’s name, but there are several reasons for it. First, Google doesn’t know the whole story. If your haven’t used your profile to make other edits or post reviews before, Google has no reason to believe that you’re the good guy. 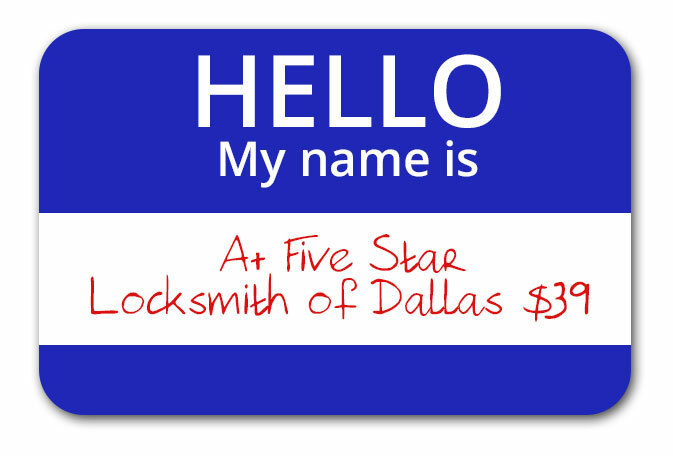 You could easily be a disgruntled ex-employee, customer, or competitor. Second, this requires manual review. Google operates in over 100 countries, and it takes serious resources to review all of those edits. Yes, they’re Google, but they’re human too. Third, the responses you can get on the Google Advertiser Community forum come from volunteers. These people take their time to help clean up bad map listings by reviewing cases and forwarding the legitimate ones to Google employees. You can’t expect a 12-hour turnaround from a volunteer force. 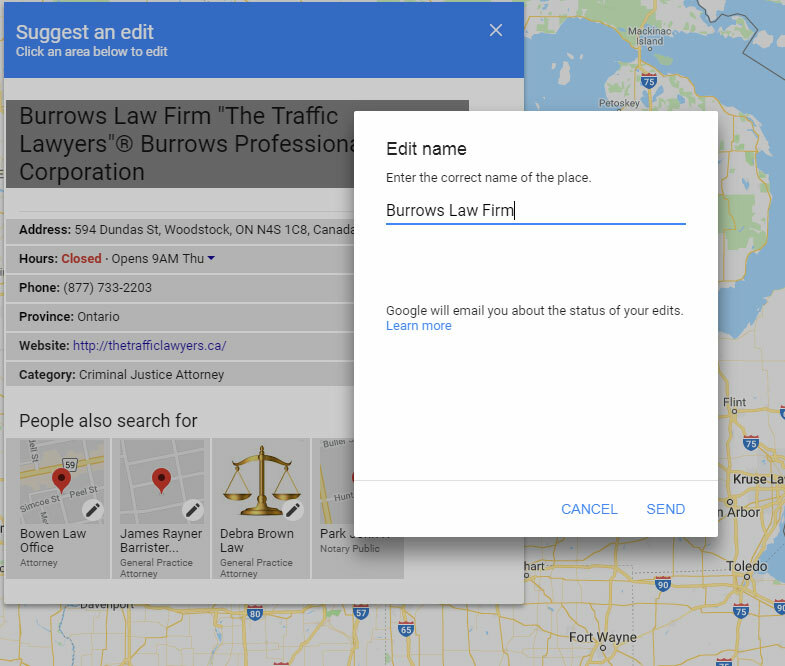 The same edit panel can be used to fix all sorts of incorrect information on Google Maps, including the address, phone number, hours of operation, website, category, and more. 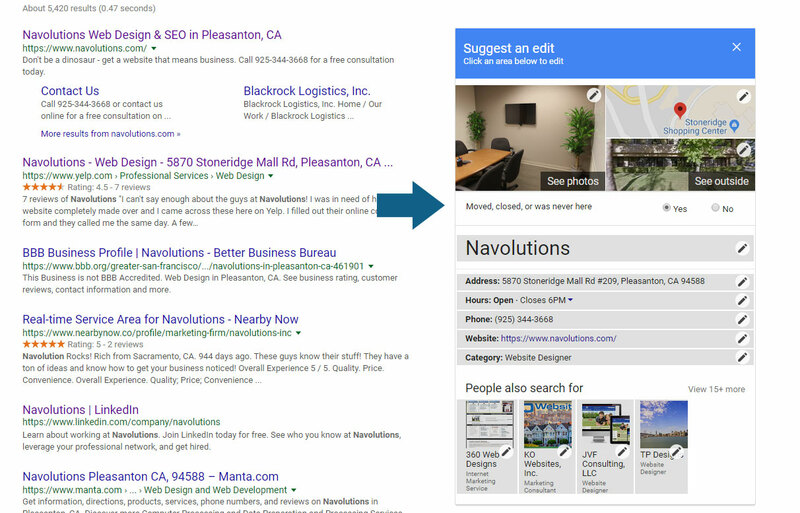 Believe it or not, removing a business listing from Google Maps requires a slightly different screen, and the process for getting there looks almost exactly the same. Click “yes” and you’ll be given a couple different options, such as “permanently closed,” “doesn’t exist,” “spam,” and so on. Pick the option that’s most appropriate, and that’s all there is to it. Again, the change can take a week or two before you even receive feedback, though you can post on the same forum as before for backup. Some bad actors like using these edit options to hurt their competitors. There is enough misinformation on Google Maps without your help already, so please only use these powers for good.